A series of protests and unrest from religious advocates roils their science-based rivals, getting Touma mixed up in a plot to promote peace. Season Premiere. Can you believe it's been over 7 years since the 2nd season of ToAru? Even back in 2011 having a flip-phone was still considered normal. Now? Look at these "backward" sci-fi guys! They'll have to change this genre from sci-fi future world to historical sci-fi fantasy just to describe it better. Well, it always kind of was since it had magical fantasy elements added to the premise, but still, those flip phones are good reminder how long ago the source material was written and how long ago the first anime adaptations were broadcast. Thankfully, Touma's quick recap showed us the major players and, more importantly, all the girls who bring him bad luck. I always wondered what an official translation of "Biribiri" 「びりびり」was going to be, which is the Japanese onomatopoeia for an electric shock; basically "bzzt." 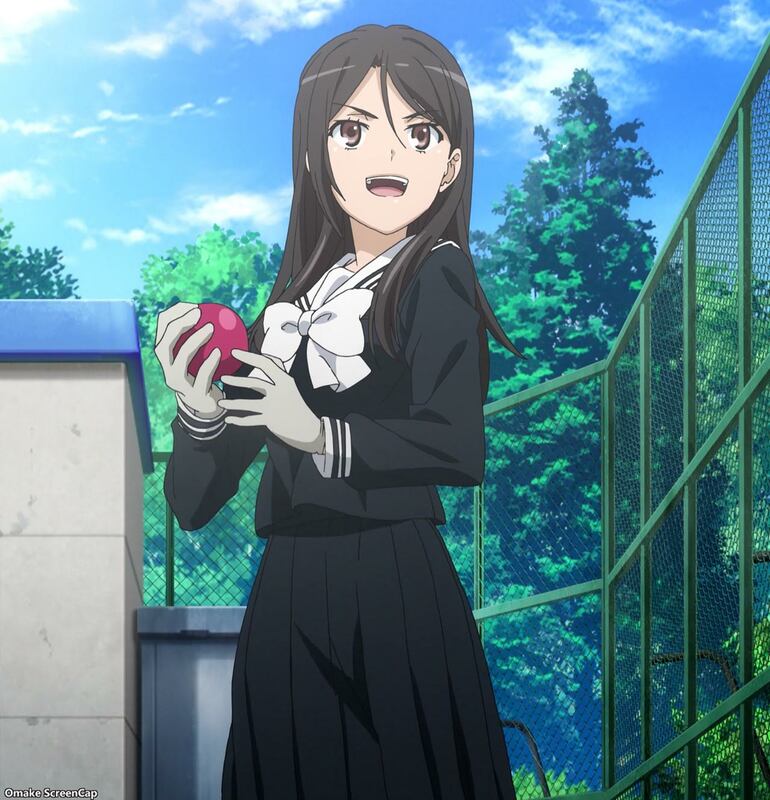 They settled on "Zapper" for Mikoto, which just doesn't convey the cuteness of Touma's nickname for her. One other note marking the passage of time - Touma's sound effect for Imagine Break is quite different from its past version. Part of the original is still there, but it's drowned out by a huge amount of bass. I think they should have updated the flip phones to smart phones and left this sound as it used to be. Seven years later, and we're back. Touma gives a quick recap. Index is bathing Sphinx. That little guy isn't going to like that. Index is hungry. Touma has no food. Misfortune! We're in full-on slice-of-life mode. The Idiot Trio was arguing about the best color of bunny girl. Red is nice, black is classic, but what is up with Tsuchimikado and his flat is justice white version? Is he suggesting something to Komoe-sensei? Fukiyose put a stop to this stupid argument, but she got in trouble too. Oyafune-sensei knits. That might be important later on. It's business as usual during a weapons convention. More foreshadowing. Uiharu is going bonkers about the gear, but Kuroko can't even. 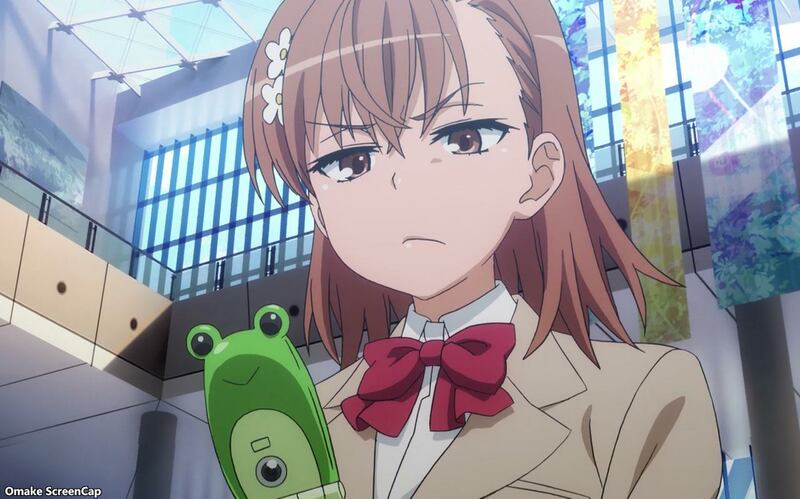 Mikoto still has her froggy phone. And she's still mad that a certain someone (see what I did there?) isn't returning her message. I like this Fukiyose girl. She's the type that says, "you-sh" for "yoshi." And Touma is going to get his full dose of fanservice this season too. It's his bad luck but our good fortune! Yay! Maika maid is here to spin and cook food for Index. Uh oh. Sphinx ran off. Things are just about to get serious. Yeah. This old lady will become important. Wearing a knitted scarf? Apparently she's Oyafune-sensei's mother. Mikoto will not be ignored! Hoh. Big trouble. Mrs. Misaka did some heavy digital flirting with Touma. A two-shot selfie and she put her info into his contacts! Here comes the biribiri! Wha! Imagine Break sounds very different. Well, we got that out of the way, but that's going to take some getting used to. Yup. Grandma is an agent of some sort. On Academy City's Governing Board and she knows about Touma's right hand. Gah! Tsuchimikado just shot Mrs. Oyafune! Oh, under her orders. There's some high stakes plotting going on here to avert a war between the Science and Religion factions. Be prepared. I'm going to make that pun a lot. Ha! Nice salute Tsuchimikado. Touma just got dumped out over France! 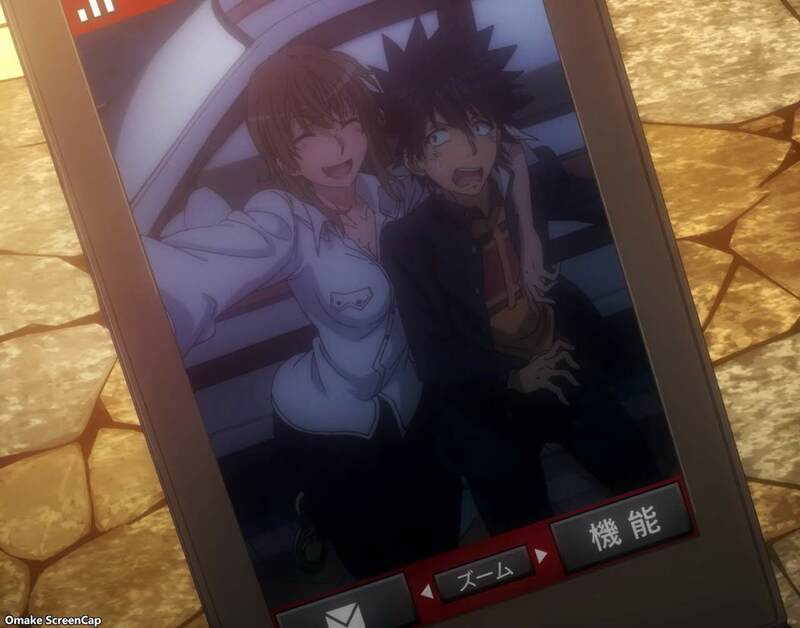 Next time, Touma gets more fanservice shoved in his face. Oh, there might be some rogue Church baddies running around too.